Hradcover edition. A good clear copy. The cover has some rubbing. Pages are lightly tanned. Good condition is defined as: a copy that has been read but remains in clean condition. All of the pages are intact and the cover is intact and the spine may show signs of wear. The book may have minor markings which are not specifically mentioned. Most items will be dispatched the same or the next working day. This is an ex-library book and may have the usual library/used-book markings inside. This book has clothback covers. In poor condition, suitable as a reading copy. No dust jacket. This is an ex-library book and may have the usual library/used-book markings inside. This book has hardback covers. With slight and inoffensive markings, In good all round condition. Dust Jacket in good condition., 700grams, ISBN: 0713606991. This is a book for those who are interested in the history of Christianity and a must read. 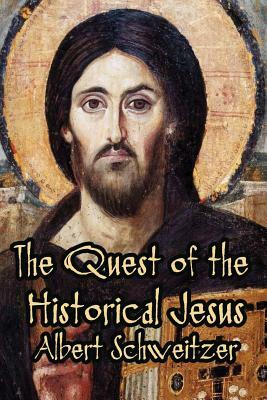 It is a "classic" on the quest for the historical Jesus. The book is not a beginners book for the those superfically interested in the subject but a scholarly written historical review of the historical Jesus. Also, for those interested in the life of Dr Schweitzer will gain more insight into his psychie.